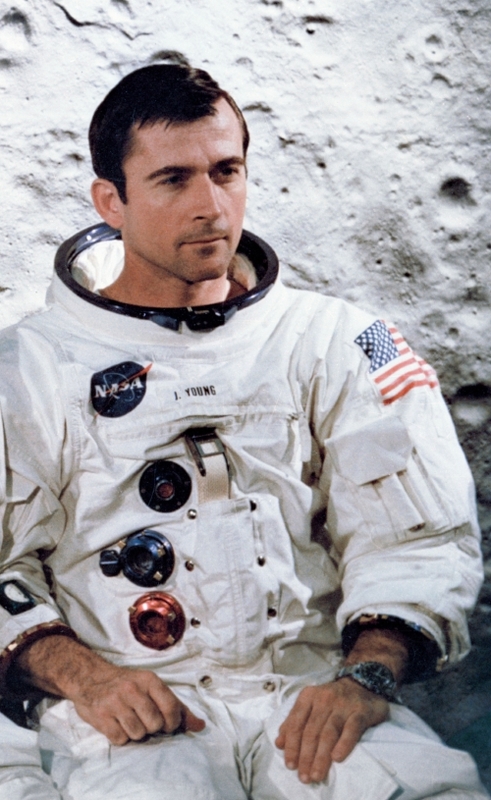 John Young, astronaut and space traveler has died. I knew his name long before I knew who he was or what he accomplished. The Central Florida Museum, started in 1966 in Loch Haven Park, changed its name to the John Young Science Center in 1973. The JYSC had hands-on exhibits and was such a fun place to visit when I was little. I later learned about John Young at Altamonte Elementary. He had graduated from Orlando High School and was an engineer, a pilot, and astronaut. He had walked on the moon. My kind of guy, he smuggled a corned beef sandwich onto the Gemini spacecraft. He was the ninth person to walk on the surface of the moon. In 1981, he was one of two pilots on the first Space Shuttle, Columbia, which was the first manned mission to space since the mid-70s. I was nine, looking up at contrails that spelled out so much hope for us kids. We'd go there one day because NASA and the Space Shuttle Columbia made it look so easy. Taking off like a rocket and landing like an airplane. He did it first...and who better to do it? He died today, at 87. His name and accomplishments were such a big part of my childhood, that I feel real loss and an era of space travel exploration seems to have died with him.